﻿China has reportedly approached the government of Vanuatu with plans to build a permanent military base on the South Pacific island nation - a move which would add to Beijing's expanding list of foreign military bases, and position the Chinese a mere 1,200 miles from Australia. Fairfax Media reports that preliminary discussions regarding a military build-up have taken place, however no formal proposals have been put forth. Beijing has been flooding Vanuatu with hundreds of millions of dollars in development capital, and committed last week to building several new state-owned buildings, including a new official residence for Prime Minister Charlot Salwai, a new Finance Ministry building and an extension of the Foreign Ministry building at a reported total cost of around $36 million. Vanuatu has a population of around 270,000 people. Beijing's presence would likely be incremental - beginning with an access agreement which would allow Chinese naval ships to dock for service, fuel and restocking. China's expansion South Pacific and China Sea endeavors have raised eyebrows as Beijing showers money around the region. Vanuatu would mark China's third foreign installation if all goes according to Beijing's plans. As we reported in January, China is planning to build a military base in Pakistan. The naval installation will be erected in a key strategic location: the Pakistani town of Jiwani, a port near the Iranian border on the Gulf of Oman and near the Straits of Hormuz, which resides at one of the six proposed economic corridors of the One Belt One Road Initiative, commonly called the Silk Road Economic Belt. Plans for the base were advanced during a visit to Jiwani on Dec. 18 by a group of 16 Chinese People’s Liberation Army officers who met with about 10 Pakistani military officers. Jiwani is located on a peninsula about 15 miles long on a stretch of land with one small airfield. 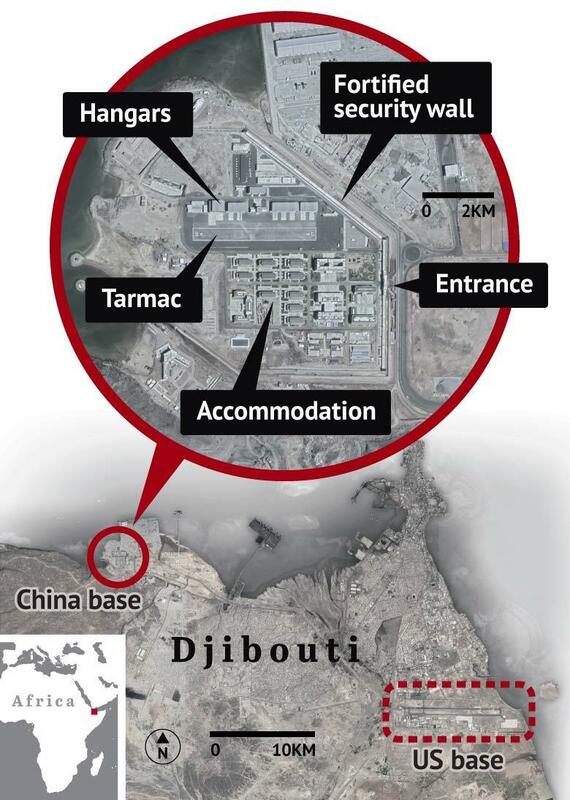 Jiwani will be China’s second overseas military base, in addition to the first foreign military base opened last year in Djibouti, a small but tactically critical African nation near the Horn of Africa, where China deployed troops for the first time last July. 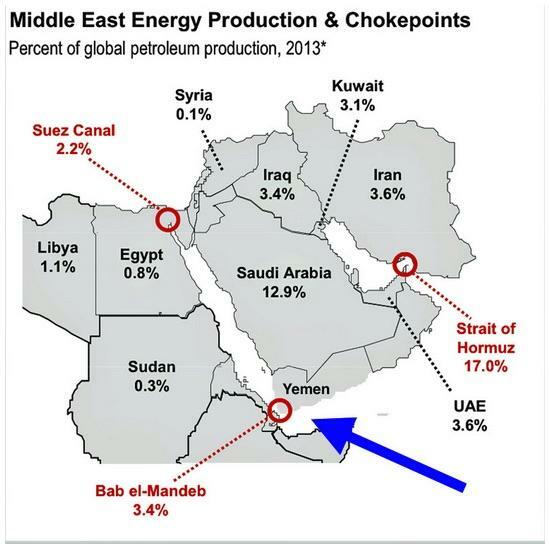 In doing so, China has direct oversight and visibility of the Bab el-Mandeb Strait in the Red Sea, which together with the Suez Canal and Strait of Hormuz, is one of the planet’s most important oil chokepoints. Washington has called China’s foreign military base expansion the “string of pearls” strategy. 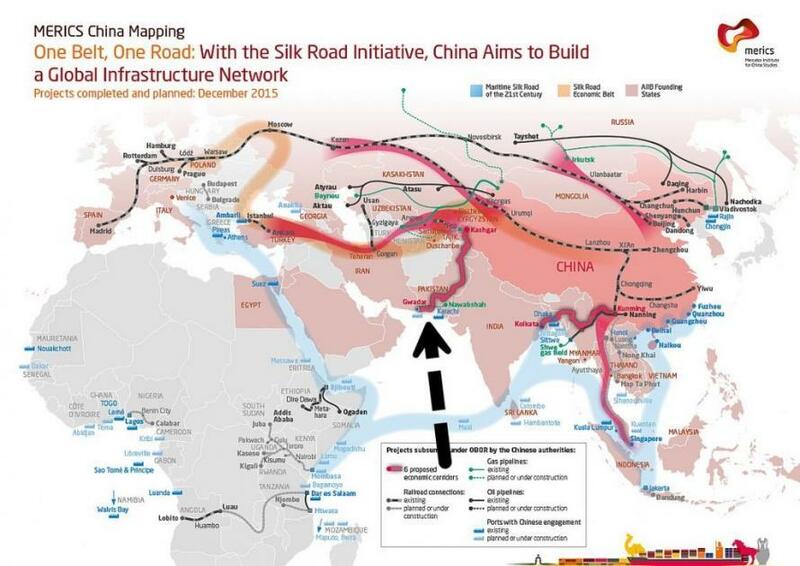 Meanwhile, as the world grows fed up with Washington's overseas policies, the Chinese are using this opportunity to roll out military bases in the Persian Gulf through the Indian Ocean, and in South East Asia. After Sept. 11, the U.S. military rushed to establish its first base dedicated to counterterrorism, and Djibouti was about the only country in the neighborhood that wasn’t on fire. Sitting beside the narrow Bab el-Mandeb strait—a gateway to the Suez Canal at the mouth of the Red Sea, and one of the most trafficked shipping lanes in the world—it provided easy access to hot spots in both Africa and the Middle East. 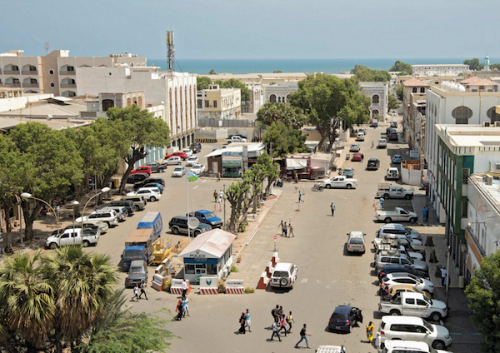 A few years later, when Somali pirates started threatening the global shipping industry, the militaries of Germany, Italy, and Spain joined France, which has maintained a base since colonial times, by moving troops to Djibouti. Japan arrived in 2011, opening its first military base on foreign soil since World War II. Meanwhile, Tonga has also been mentioned in recent circles as a possible site for yet another Chinese base - however the Sydney Herald reports that current efforts are primarily focused on Vanuatu. So in addition to beefing up their military and their cyberwarfare capabilities, China is seeking to expand their global reach. 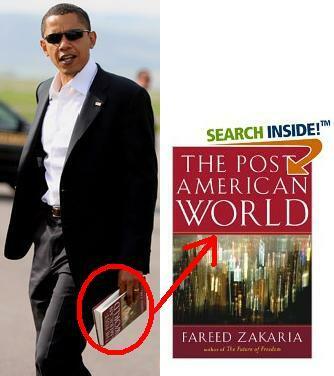 Where does that leave the balance of power in the next couple of decades?